(Image surrounding engraved oval is a reflection off the plate while photographed). 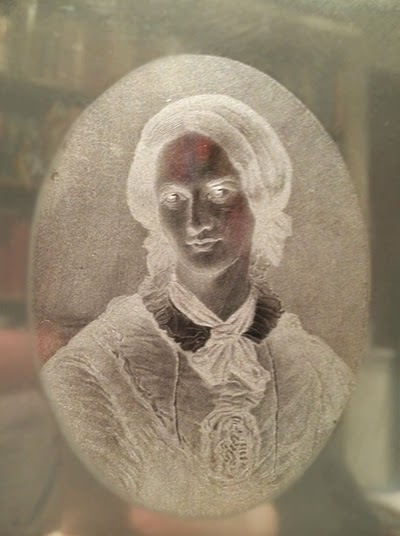 The original steel plate of the mezzotint portrait of Charlotte Brontë engraved by John Sartain has surfaced. Sartain (1808-1897), known as the "father of mezzotint engraving" in the U.S., produced the portrait, engraved after George Richmond's famous portrait in chalk, in Philadelphia c. 1857. The 10 1/4 x 7 inch beveled steel plate, engraved with Sartain's signature (verso with dagger-and-S mark of John Sellers & Sons Sheffield, an English manufacturer of steel and copper plates for engravers, amongst other goods, with an office in New York), appears to have been made to accompany the long review essay, The Life of Charlotte Bronte, in the October 1857 issue of The Eclectic Magazine of Foreign Literature, Science and Art, which Sartain had an early financial interest in. A print struck from the plate. John Sartain was arguably the foremost American engraver of his time and inarguably the pioneer of the mezzotint process in this country. He popularized the intricate printmaking process when he emigrated to the United States from England in 1830. His mezzotint prints possess a strong and rich texture that heightens and intensifies their aesthetic character. 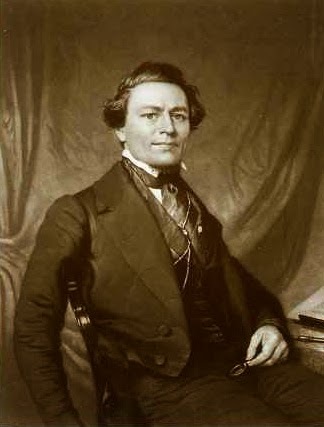 Sartain was born in London in 1808. Left fatherless at the age of eight, he became responsible for the support of his family. At age eleven, he took a job as assistant scene painter to an Italian pyrotechnist working at Covent Garden under Charles Kemble’s management and at Vauxhall Gardens in London. In 1823, Sartain became an apprentice to engraver John Swaine (1775-1860), with whom he studied and worked for seven years. Sartain also learned to paint, studying miniature painting with Henry Richter (1772-1857). He moved to Philadelphia in 1830. He then produced engravings for various American periodicals including Gentleman’s Magazine, The Casket, and Godey’s Lady’s Magazine. Sartain, beginning 1841, made quite a few engravings for Graham’s Magazine, and, in 1849, he, along with William Sloanaker, bought the magazine for $5,000. They changed the title to Sartain’s Union Magazine of Literature and Art. Among Graham's noted contributors were Henry Wadsworth Longfellow and Edgar Allan Poe (an assistant editor there, as well), who became a close, personal friend of Sartain. 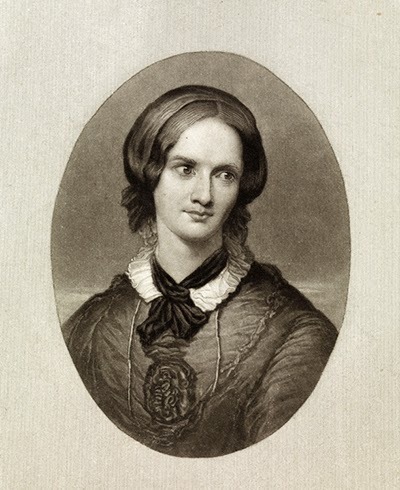 Charlotte Brontë by George Richmond, 1850. George Richmond (1809-1896), in his youth a disciple of William Blake, was a painter and draftsman with 326 portraits to his credit. Brontë's publisher, George Smith of Smith Elder & Co., commissioned this portrait in chalk of the novelist from Richmond as a gift for Brontë's father, who saw in it "strong indications of the genius of the author." Novelist Elizabeth Gaskell recalled seeing the portrait hung in the parlour of the Haworth parsonage, and a copy of it appeared in her biography of Brontë. Only a handful of likenesses of Charlotte Bronte have survived, Richmond's portrait is by far the most celebrated, and Sartain's mezzotint is the finest engraving based upon it. The plate exhibits the mezzotint (half-tone) process very well. Mezzotint achieves tone variations by working the plate with thousands of little dots made by a metal tool with small teeth called a "rocker." In printing, the tiny pits in the plate hold the ink when the face of the plate is wiped clean. Subtle gradations of light and shade and richness in the print can be accomplished in skilled hands, and Sartain was a master of mezzotint, the first tonal process used in engraving, with aquatint to follow. Previously, tone and shading were possible only by employing hatching, cross-hatching, or stipple engraving, line or dot-based techniques that left a lot to be desired for nuanced effects. 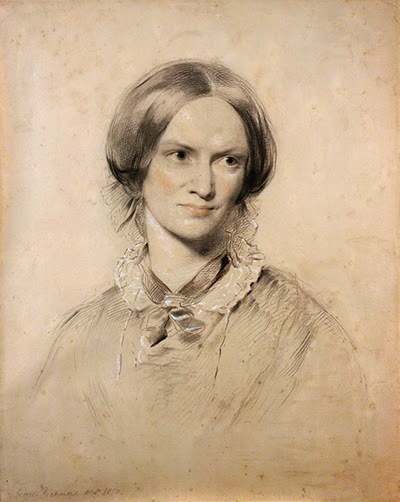 There is no truth to the rumor I started that the Van Morrison-penned song, Mystic Eyes (recorded by Them, 1965), was inspired by the Richmond-Sartain portrait of Charlotte Brontë. The plate is being offered by The 19th Century Rare Book & Photography Shop, of Maryland and New York. [BRONTE, Charlotte]. SARTAIN, John. Charlotte Bronte mezzotint portrait. Original steel plate, signed in the plate by John Sartain after George Richmond. N.P., [Philadelphia], c. 1857. Original beveled steel plate (7 x 10 ¼ in. ), Light surface wear, a small tarnish mark. Brontë plate and print images courtesy of the 19th Century Rare Book & Photography Shop, with our thanks.